Exposed installation: ShowerTablet Select. 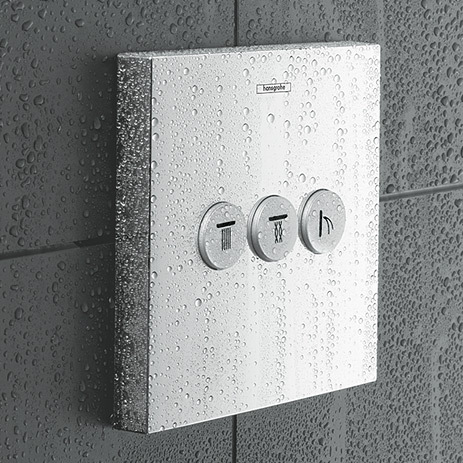 Hansgrohe has also opted for the innovative Select button in its range of thermostats. 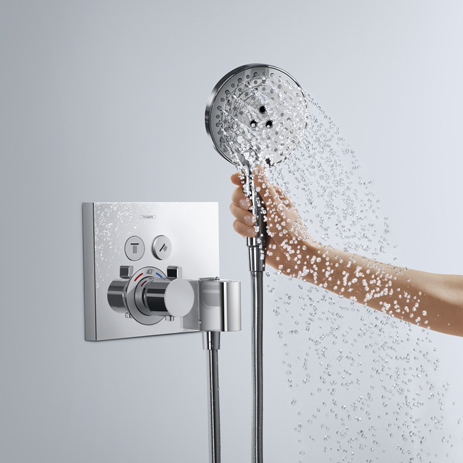 It is so intuitive to operate, with a particularly user-friendly shower control system – ideal for people of all ages. 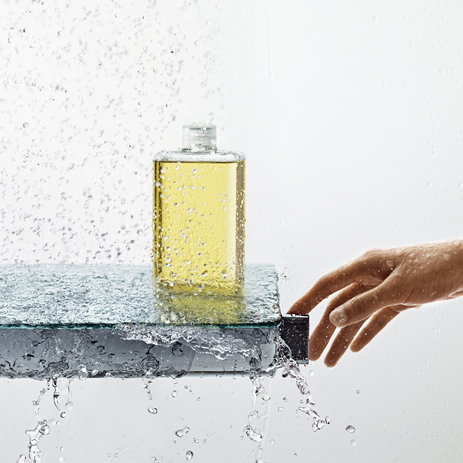 With their glass shelves (300 and 700 mm wide), these designer thermostats offer plenty of space for shower utensils. 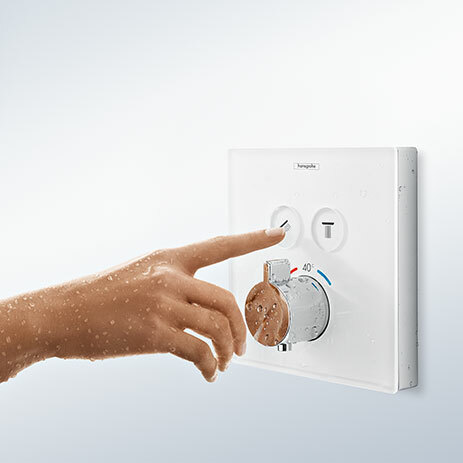 A true innovation: ShowerTablet Select 700, the first Hansgrohe exposed installation thermostat which actuates a single-jet overhead shower via a concealed installation, for example the Rainmaker Select. Around the bath tub too, this “tablet” is an eye-catching feature with its spacious shelf area. Concealed installation: ShowerSelect pre-fab sets. 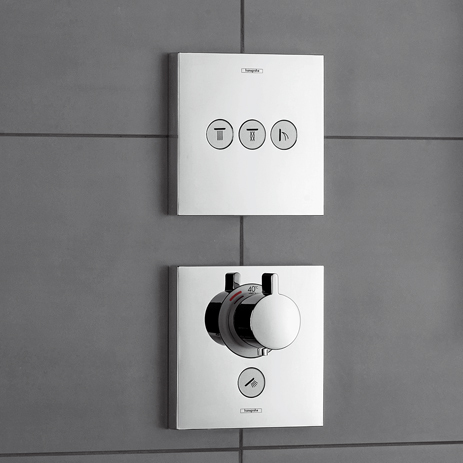 Switch consumers on and off or change jet types at the simple touch of a button. 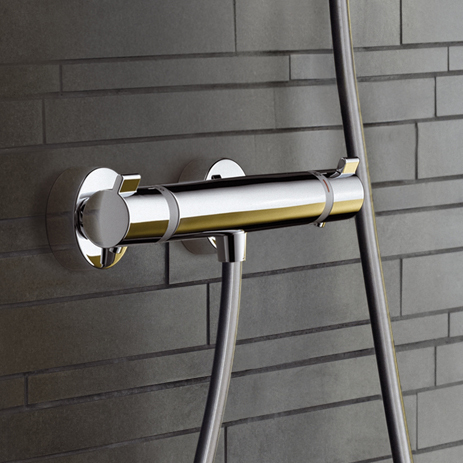 Use these to implement shower solutions with up to four consumers, based on the iBox universal. Particularly elegant where porter and hose connection are already integrated. 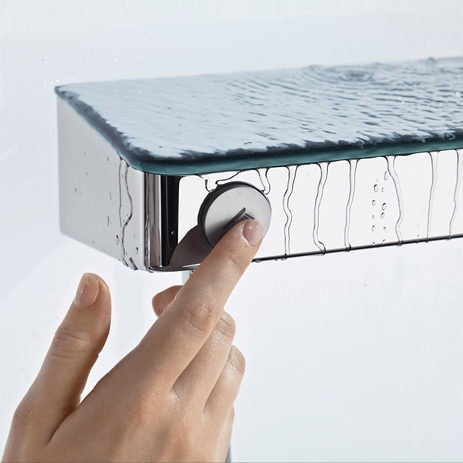 A new aesthetic highlight: ShowerSelect with its smooth glass surface – for the selection of 1 to 4 consumers. Here you will find manual exposed thermostats: from the Ecostat Comfort through to the Ecostat Select thermostat with shelf area made of safety glass. You will also find: concealed installation thermostats for one or more shower(s) and shut-off and diverter valves for up to four consumers. RainBrain with touchscreen and numerous pre-fab sets complete the range. 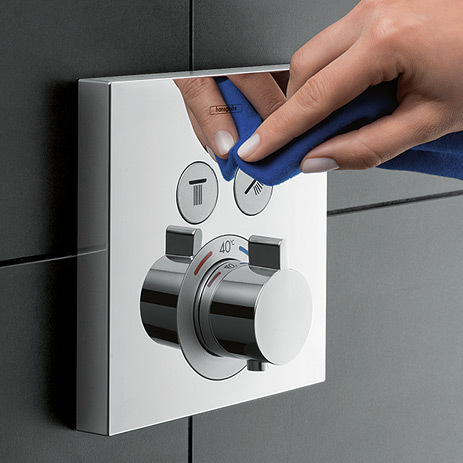 RainBrain is the name of the multi-functional control centre from Hansgrohe. It is also installed in the wall. 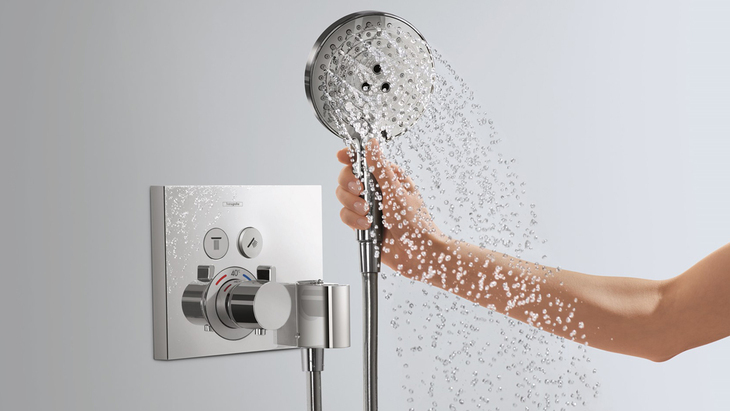 From there it controls shower operation, jet types, temperature, light and music for your customer electronically. This provides maximum convenience and sensual enjoyment in the shower. Ideal if the bathroom is being completely redesigned. Shower control via touchscreen – here's how it works: Start RainBrain animation.